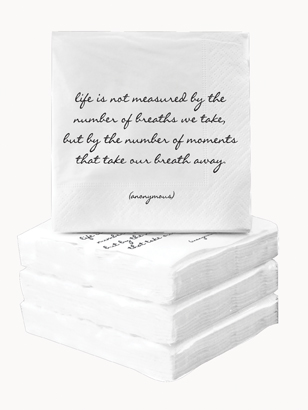 Imbibe in style with Quotable Cocktail Napkins! Each package contains twenty triple-ply napkins, bleached without chlorine, measuring 5" x 5". Price is per package.